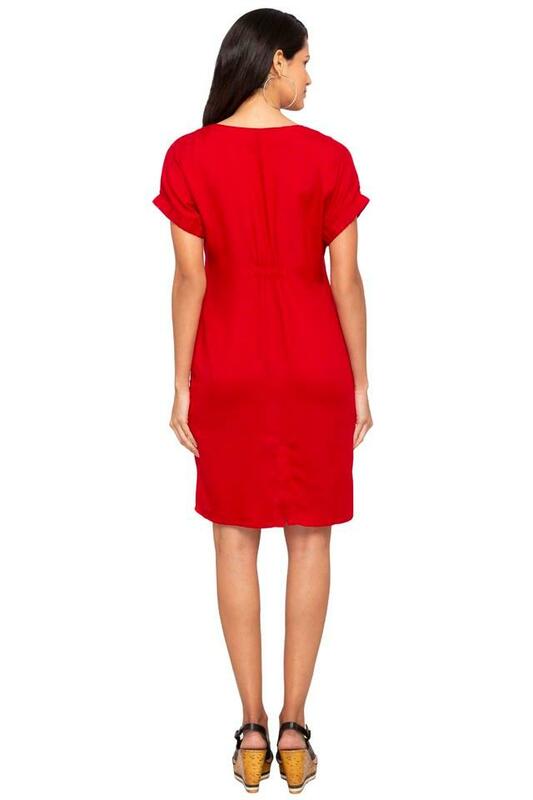 Show off your personal style with this A-line dress from Nush. 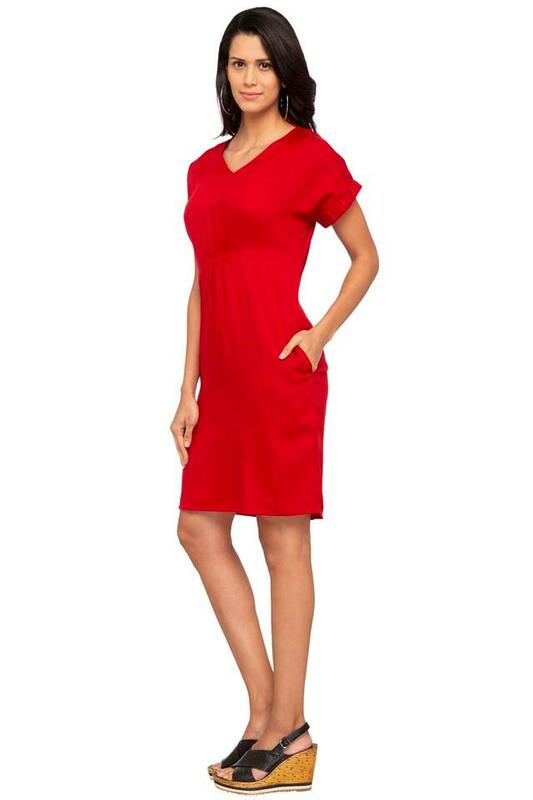 It is made from good quality fabric, this dress is also extremely soft against the skin. 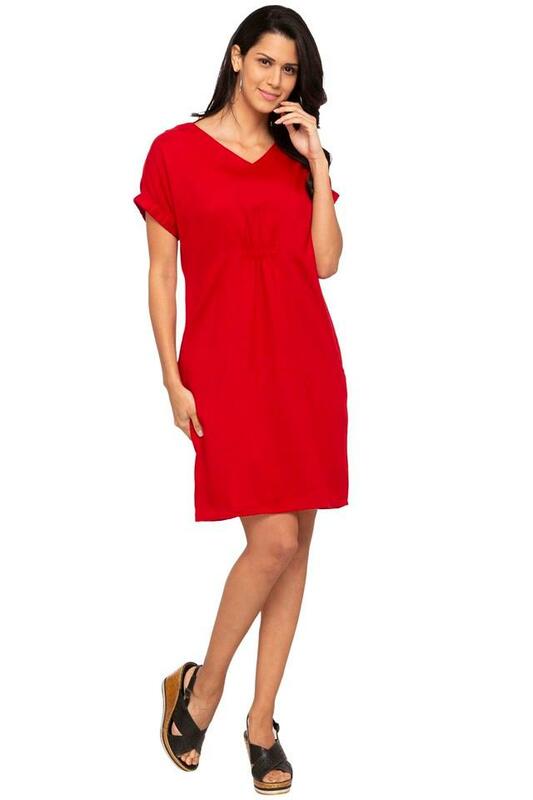 Crafted with unique design, this short sleeves solid dress comes with a V neck and perfect fit design that renders it trendy.